Remember my obsession with kimonos? Some things never change. 😉 Now that it’s getting warmer I’m more than ready to pull out my kimonos and get to styling! 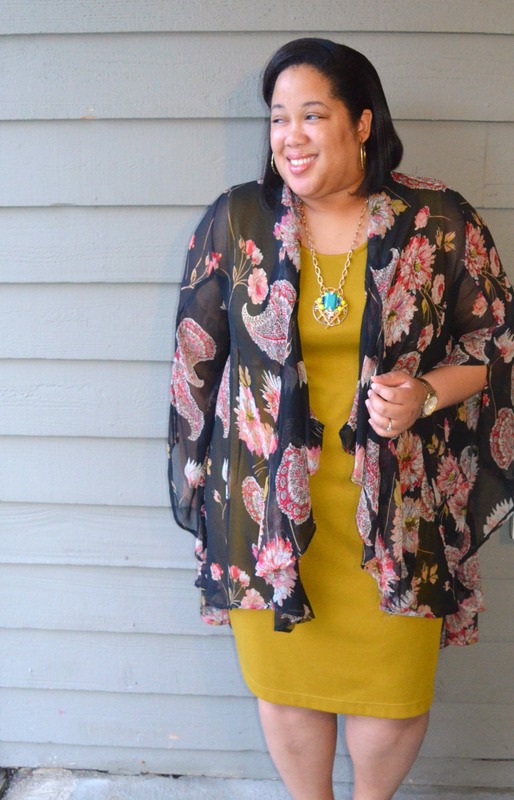 This floral thrifted gem is one of my favorites. I’ve had this kimono for years and despite the rips and tears, I’ve held onto it for dear life. I’ve sewn up the holes, cut one side to be even with the other side (that I ripped a while back), and to me it’s just as perfect when I purchased it. I jazzed up the outfit with a statement necklace and my cute gold flats. Adding the (thrifted) tote made this a perfect option for the work place. Because my work environment is more laid back, I don’t do the dresses and heels thing. However, a dress (and outfit) like this is perfect for those days I want to get a little fancy. So tell me, do you have a clothing item that you just can’t get rid of? 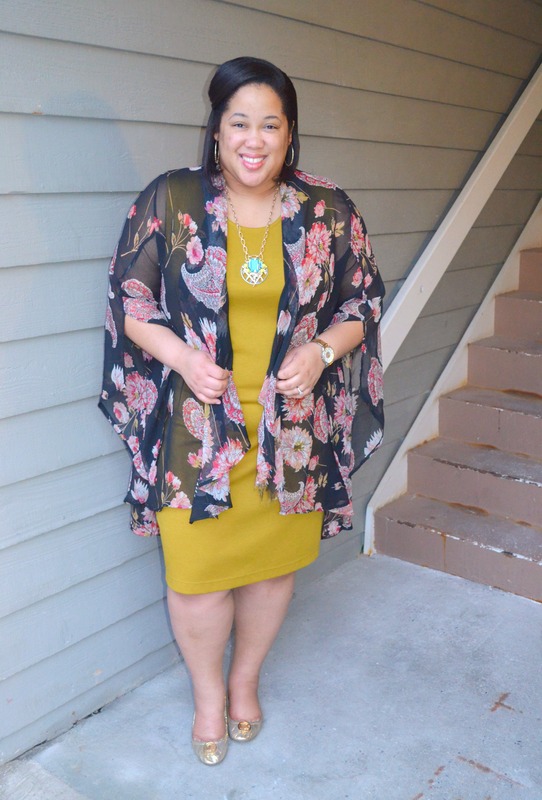 What are your thoughts on kimonos and dresses? Let me know! Thanks for stopping by and be sure to keep up with me on social media. I’m always posting or saying something! Until tomorrow, be blessed and stay safe…XO! Oh gosh, these are all great finds! 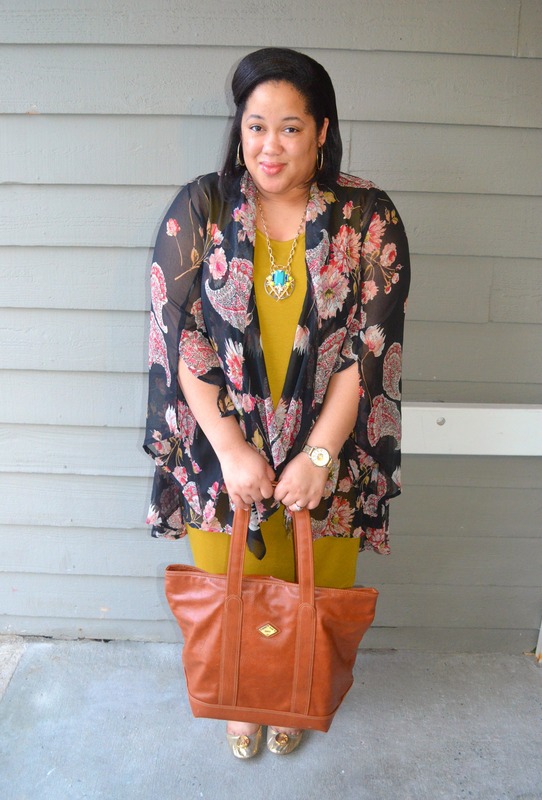 Love your kimono, the colors are perfect! 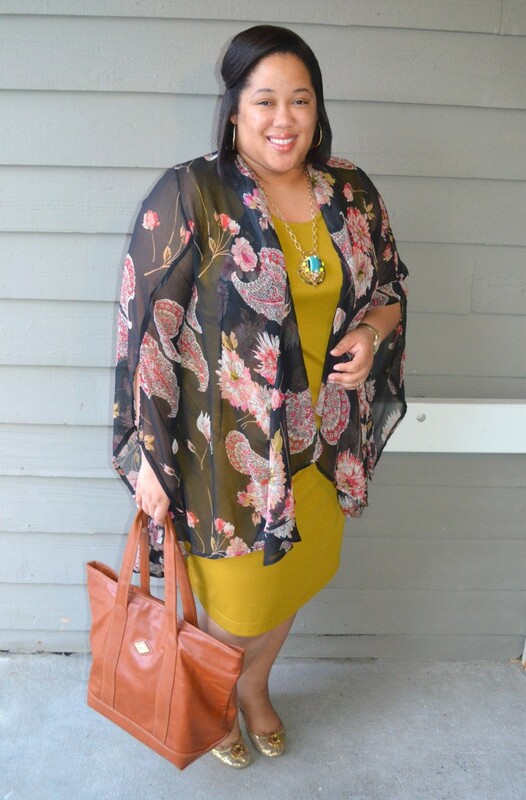 You look smashing in this mustard dress and kimono. I have many items I should get rid of and just cannot until my Niece comes to visit . You’re so sweet. Thanks, Neti! so cute I need to start pulling mine out again. I think this mustard Asos dress is a fantastic find. I like how you have styled it. The cute MK flats and the conversation piece of a necklace…perfect. Thanks, Glenda! I’m becoming a fan of this color as well. XO! Pretty look! 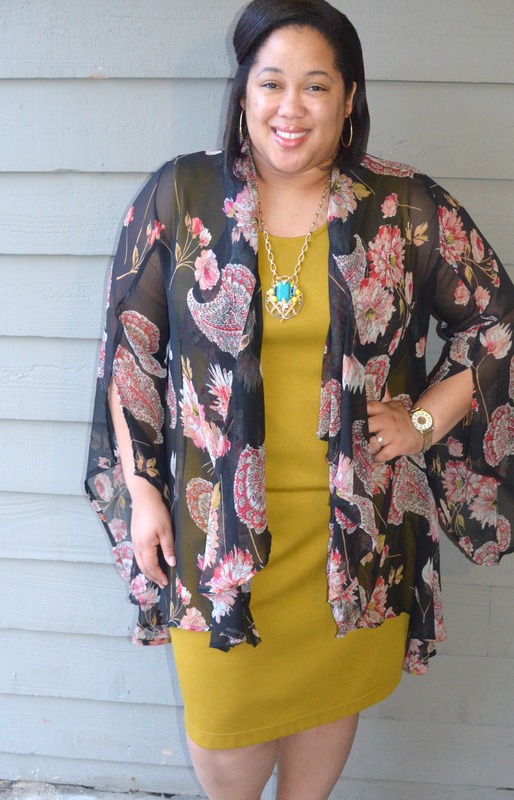 I’m obsessed with dresses and kimonos as well, they’re perfect for warmer spring days. Love the mustard dress. Werk! I love this look! I have a mustard colored dress like this from Forever21 that I love to style. It was close to $5 and now I wish that I had bought it in more colors. LOL your style is very cute and easy to follow!